Check out our Subway flag and banner range to buy quality, Australian made flags online. 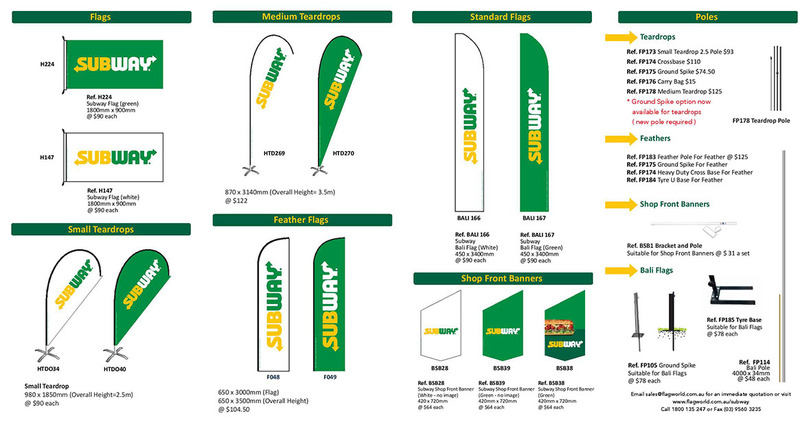 Place your Subway flag order online now. Or download the full brochure.